National Youth Day is a public holiday in the Turks and Caicos Islands observed on the last Friday in September. It is celebrated to honor the youth of the Turks and Caicos Islands that represents the future of the nation. 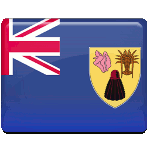 The Turks and Caicos Islands are a British overseas territory located in the Caribbean. Youth constitutes a large part of the islands' population. According to statistics, approximately one-third of the population is under 15 years old. National Youth Day was established to recognize the contribution of the young people to the nation's development. National Youth Day is widely celebrated throughout the country. It is a day of games and fun marked with parades, singing and dancing performances, talent shows, competitions, rallies, concerts, sports games, and other festive events and activities. These events are coordinated by the Department of Youth Affairs in the Ministry of Education, Youth, Sports and Culture. As National Youth Day is a public holidays, citizens are granted a day off.